The Berkeley Arts Council announces “Back Space”, the new gallery in the Berkeley Art Works. 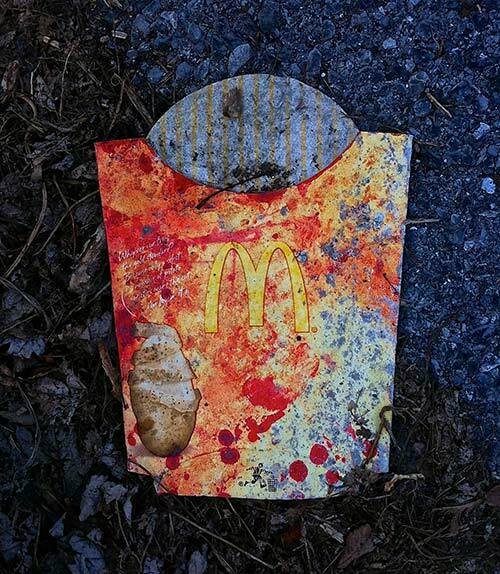 The new gallery will open on Thursday, May 22 with “Litter like Beauty is All Around”, an exhibit of photographs by Gary Bergel. Gary Bergel, a photography and mixed media artist exhibiting with the Berkeley Art Works, and a teaching artist on the faculty of the Blue Ridge Community and Technical College, is presenting a suite of archival prints of smart phone photographs he has taken over the past ten years. Bergel’s exhibit will inaugurate Berkeley Art Works’ new Back Space gallery. The artist invites you to explore and see the “is-ness of things” with him – along the way – in the Back Space at Berkeley Art Works. The Back Space exhibit opening will coincide with the opening of “Photo14”,the Berkeley Arts Council’s first juried photography exhibit. Both exhibits will be on display from May 22 – June 22. There will be an opening reception for both exhibits on Saturday, May 24 from 5-7pm.